Welcome to another Debut Author Feature. I'm definitely spoiling you guys this year!! 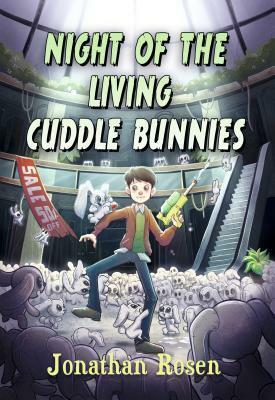 Today's feature is from debut author Jonathan Rosen and his book Night of the Living Cuddle Bunnies. Jonathan was nice enough to do an interview, so please show him some love in the comments!! 1. What is your latest book about? Night of the Living Cuddle Bunnies is about, twelve-year-old, Devin Dexter and his cousin Tommy, who believe that the new neighbor across the street, Herb, is a warlock, only nobody believes them. Not even when strange things start happening, such as that year’s hot new Christmas toy, the Cuddle Bunny, coming to life and causing havoc all over the town. Devin and Tommy must try to prove Herb is a warlock, and stop the marauding mob of evil bunnies, before the entire town of Gravesend is overrun. 2. What are your writing strengths? My strengths, I believe are humor, and dialogue. Now, of course, I’ll have someone read this and say, “This guy isn’t funny at all!” They’d be wrong, but humor is subjective. But, humor and dialogue have always been my strengths. Love writing both. Especially humorous give and take between characters. 3. What do you feel you need to work on as a writer? What don’t I need to work on? Even things you feel comfortable with, you need to constantly be working on. You always need to try and improve and get better. I look at stuff I wrote a few years ago, and cringe. You keep striving to get better. I thought I was doing it?? Actually, I do love writing. I’d love to do more of it. Novels, screenplays, comics. All of it. Looking at it, I guess my dream job is to be Jonathan Maberry. But, really, I love creating stories. It’s the frustrated actor in me. 5. What social media accounts do you like best? I know a lot of people love Instagram, SnapChat, or Twitter, but I am still very much a Facebook person. The others are too restricting. I feel you get to know people the most on Facebook. 6. How has your life changed after you’ve become a writer? Quick answer, it hasn’t. I’m the same. But . . . I do have a sense of accomplishment, now that I’ve fulfilled a long-standing dream of mine. I have a book published and I had dreamed about that for my whole life. My kids love the fact, so it also brought me a little street cred in the house. Longer answer, besides pride, there’s pressure. You want to get out another one. You don’t want to think it was a one-off. You want to think of it as a career. There’s relief that you have a book under your belt, but the hunger is still there. 7. What POV do you like writing in best? Mine. Okay, you probably didn’t mean that. I used to love writing in third, but right now, it’s first. I love getting the immediacy of the character’s thoughts. 8. What would you say is your crowning achievement as a writer? Right now, I have to say Night of the Living Cuddle Bunnies. And, I know it’s my first book and so far, only one out, but I’m going to always have a special spot in my heart for that one, no matter what else happens. I know it’s mine, but I’m extremely proud of it. It’s a really funny book and enjoyable story, and I worked extremely hard on it. 9. Did you have a plan before you started writing? broke through for me. I knew I wanted to make it about evil stuffed animals. That idea had been with me for a long time. After that, the characters started coming together easily. 10. What genres would you like to write within that you haven’t written in before? 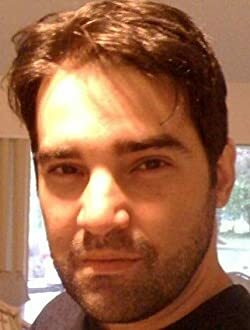 I have several YA stories that I’m going to attempt. I also have more of a sci/fi story that I want to do as well. 11. What genre would you never write within? I can honestly say that I LOVE it. Seriously, who wouldn’t? If someone is enthusiastic about something that I wrote, it’s the best feeling. I love hearing from kids who have read my book and enjoyed it. Even more, I love hearing them tell me which parts they loved. 13. What other ways do you showcase your creativity? Nowadays, I’ve really been concentrating on writing, but I used to love acting also. I majored in Theater for a brief time and still get the acting bug. Writing is a way of performing. You get your outlet for creativity. But, I’m always writing down story ideas. I’m always writing down jokes to use in stories. It’s constant notes and putting down ideas for future use. I just finished a Time-Travel book, which will be shopped, as well as the sequel to Night of the Living Cuddle Bunnies. Besides those two, I’m now working on another one, so stay tuned. 15. When did you first realize you wanted to be a writer? Honestly, when I was a kid. There was ALWAYS something thrilling about going to the bookstore. My parents took me, every time I went into the mall. I remember, even at that age, thinking how awesome it would be, to see my name on a book. I was a voracious reader, and with every book I read, I started coming up with different ways that plot could’ve gone. What things the author could’ve done differently. It got me trained to always be thinking about stories and storytelling. 16. What was the push that got you to finish your first book? Well, my first book, I finished without knowing anything. I got so excited about writing a story, that I went for it. I realized then, that writing is hard! You have to know craft. It’s something that takes studying and learning. But, my first published book, it took getting close on previous manuscripts. I definitely saw a progression in the response from agents and editors. Once, I started getting really close, it motivated me for the next one. 17. What are some things that helped you in your writing career? Other writers. Seriously. I have been fortunate enough to have been surrounded by talented writers, who have been helpful with advice and tips. 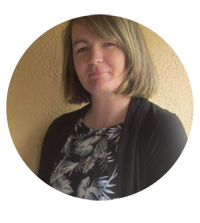 I was also lucky to have been mentored by Joyce Sweeney, who has helped so many writers get published. But, I have also met many others, who have been kind in offering advice. 18. Are you a pantser or plotter? I used to be an intense plotter. Covering every aspect of the book. I still plot, but I’ve gotten to be somewhat more of a pantser. I’ve enjoyed the freedom of not always knowing exactly where the story will take me. I do have a general idea, but I like the uncertainness. This way, I feel liberated to enjoy some surprises along the way. 19. What do you hope to achieve from your writing career? Really, all I want, and all I have wanted from this, is to write books that kids will enjoy reading for many years to come. 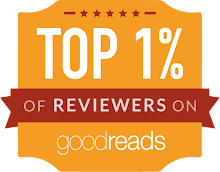 If you enjoy writing and are lucky enough to have your work reach an audience, that is its own reward. 20. What do you like to do when you're not writing? Anything with my family. I especially enjoy doing things with my kids. I’m sappy that way, but miss my kids when they’re not around me. 21. What’s the best vacation you ever had? I’ve been to so many cool places, but my favorite might be the UK. I went to England and Scotland, and just loved every second of it. London was incredible. I did ghost tours, a Jack the Ripper tour, we got to stay in haunted hotels. Every part of it was fascinating. And, it was also amazing to get to go to Loch Ness. I’d always been fascinated by it, and to get to see it in person, was an unforgettable experience. 22. What’s your favourite rainy day movie? It’s funny that you’re specifying, because I do have different movies that I enjoy watching at different times. Rainy days, either get me in a melancholy mood, or fantasy. It’ll definitely be an old, familiar favorite. But, off the top of my head, I’d say a movie from my childhood, just to live in nostalgia. I’ll say Back to the Future. 23. If you could be any age again for a week, which would you choose and why? I’d probably go back to age twelve or thirteen. I loved being that age, and the sense of adventure and exploring. That age lends itself to suspension of disbelief and everything around you is a world of possibilities. It’s no wonder at all, that that’s the age I enjoy writing for. 24. If you could have personally witnessed one event in history, what would it be? I actually think about this a lot. I love history. Love learning about it. Love teaching it. Love reading about it. And my answer will inevitably change. There are so many things I’d love to see. But, off the top of my head, I’m going to say the signing of the Declaration of Independence. Just knowing that this group was set to go against the leading power in the world, at the time, was remarkable. 25. What's you favourite place to read? In bed. I read around a chapter a night from three or four different books. I’m always in the middle of four books at once. I read right before going to sleep and it helps me fall asleep. 26. When you walk into a book store, where do you head first? Children’s books. Every time. I could spend hours there, looking through everything. I like to see what’s come out and what’s on the shelves. And now, I also like to see my book on the shelf. It never grows old. 27. If you had a million dollars, what would be the first thing you would buy? First thing is, a down payment on a house. Something comfortable for my family. I can’t even think of anything that would come before that. Copy of the book, US/Can only.